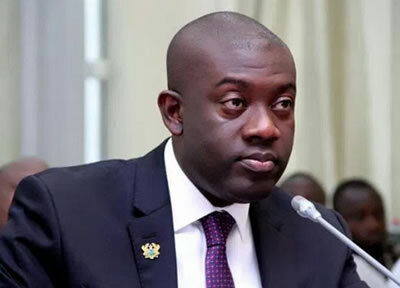 Mr. Kojo Oppong Nkrumah, Minister for Information, has announced the setting up of a new mining framework to ensure that small scale mining become more regulated and sanitized. The framework, according to the Minister did not necessarily meant a lift of the 21 months ban on illegal small scale mining, but a policy framework to ensure that operators in that industry lived within the confines of the new framework. Mr. Nkrumah was speaking to the media in Takoradi as a curtain raiser to the fifth National Policy Summit in the Western Region. The details of the framework to be announced by December 14, 2018, will give direction as to how the 3000 trained small scale miners would operate and the status of their operations. The Information Minister said these 3000 small scale miners had been validated and given approval to do legal and responsible mining. Another aspect of the policy would work on dredging and repair of agricultural lands destroyed by illegal mining, other legal reforms, as well as efforts to avert resurgence of the illegal practice. Mr. Nkrumah said activities of operation vanguard taskforce had largely been successful in the fight against illegal mining. According to him, “many have used small scale mining as a cover up for lots of indiscriminate activities that had destroyed water bodies, contaminated many agro products and its adverse effects on the environment in general. On the President’s trip to Japan, the Minister said the three day business trip would strengthen trade ties between the two counties, open Foreign Direct Investment and Knowledge Transfer, among the two countries. The trip would also solicit support from industry giants in that country to help advance the One District One Factory policy of the government. The post New mining framework in the offing – Minister appeared first on Ghana Business News.